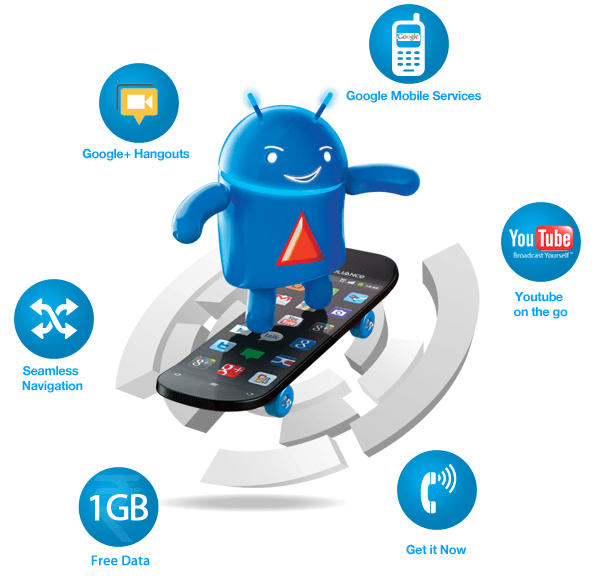 Now all Google approved 3G Android devices users will get 1 GB free 3G data offer for all its new & existing customers who upgrade their headsets to any new Android smartphones phones & activate their handset on the Reliance 3G network. The offer is applicable only on a device that is being added to the Reliance Communications (RCOM) network for the first time. Reliance Communications partners with Google and announced its plans to exclusively market Android devices (Smartphones and Tablets) in India over its superior network for the next 2 years. This Offer is not applicable on non-Android devices and its valid only in Reliance 3G circles for 30 days. One can apply for this offer only during the period of 15th April, 2012 to 15th June, 2012. Offer is valid on both Prepaid & Postpaid connections. Once requested for activation the Offer will be activated within 72 hours of customer making a voice call using the device. Offer applicable only once on each device. Post consumption of 1GB free data, customer needs to activate a 3G data plan or will be charged at 10p / 10 kb (pay as you go plan). Reliance also plans to introduce expert customer care, carrier billing, exclusive apps and content in addition to the dedicated Android experience zone at Reliance retail outlets across the country.The range of Android Smartphones to work best on the superior Reliance network will come from leading handset manufacturers in the world over the next 2 years. Is it applicable for CDMA phone ?